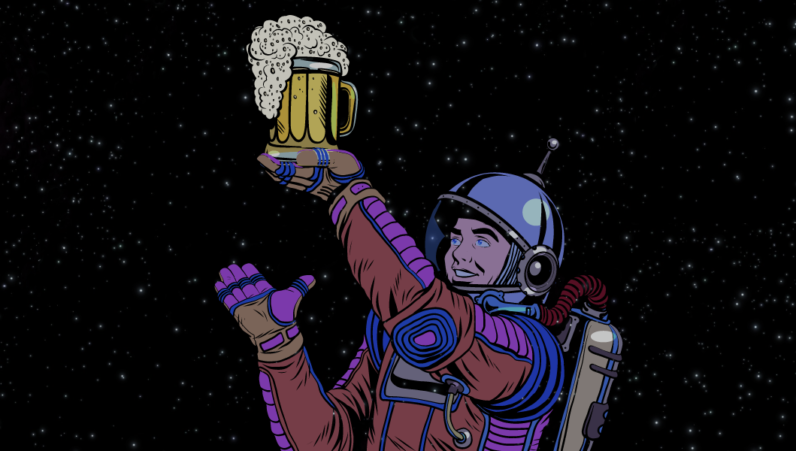 In what could have easily appeared in the holy book of Broscience, a team of engineering students from UC San Diego has set set off on an intricate interplanetary quest to discover whether the moon provides the necessary conditions to brew beer. Despite its unusual premise, the experiment is not at all a college humor stunt on the students’ part. Instead, the young engineers are hoping to understand how yeast behaves on the moon as this could have larger implications for the development of yeast-containing pharmaceuticals and foods. The ambitious engineering collective is one of 25 finalists partaking in the Lab2Moon competition held by TeamIndus, which is one of the four organizations contracted to send a spacecraft to the moon as part of the Google Lunar XPRIZE challenge. The students, who go by the alias ‘Team Original Gravity,’ have so far edged out 3,000 other contestants to make it to the finals. Winning a spot aboard the TeamIndus spacecraft will make them the first ever to brew beer in space. “The idea started out with a few laughs amongst a group of friends,” said the team’s PR rep Neeki Ashari. For this reason, the beergineering prodigies have crafted a special system that takes into account the differences between brewing conditions on Earth and the moon. If Team Original Gravity manages to scoop a spot on board of the TeamIndus spacecraft, its special brewing canister is expected to shoot up to space later this year on December 28. May the Force be with them. Too bad there won’t be anyone there to test how this space-brewed beer tastes.